Joanna Stafford’s family has been repeatedly touched by scandal. First her uncle is executed for treason, and now her beloved cousin Margaret is condemned to be burned at the stake for her part in an uprising against Henry VIII and his persecution of the old (Catholic) ways. Even absent her family connections, Joanna is a suspicious figure as a novice Dominican nun in a time when the King has broken with the Pope and is shutting down religious houses throughout the country. Between the family treason and the religious leanings, Joanna finds herself in great trouble when she becomes involved in a commotion during Margaret’s execution. Imprisoned in the tower, along with her beloved father, Joanna is offered a single way to save both herself and her father by Stephen Gardiner, Bishop of Winchester: she must return to her convent and find the crown worn by the Saxon King Athelstan. As soon as Joanna returns, however, people begin turning up dead, complicating her mission and making her wonder just what this relic really is. The Crown would best be classified as a historical thriller, but to my relief, Bilyeau’s writing style is much more closely aligned to the historical fiction genre than to the thriller genre, avoiding the short chapters with cliffhanger endings that are a hallmark of many thrillers. Bilyeau develops her characters well; Joanna is certainly a fully-fledged person and, although the reader does not have access into the minds of the other characters, all of the secondary characters are complex enough to be realistic as well. Even Gardiner manages to avoid being a two-dimensional villain. Each chapter has rich historical detail interwoven with the story, bringing a sense of authenticity, without ever devolving into info-dump territory. The storyline Bilyeau created for The Crown is fascinating as well. Even while Joanna is in the tower the action continues to move forward and the reader begins to get a sense of the political intrigue occurring throughout the court and the religious orders. The legend of Athelstan and his crown is teased out perfectly, enough information is given to keep the reader from becoming frustrated, but enough is also withheld to keep the level of suspense high. 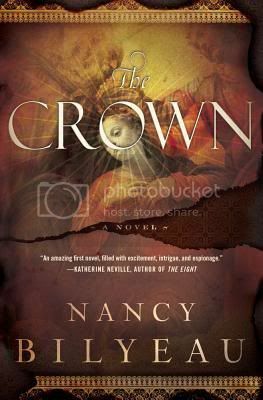 The Crown may be a debut novel, but it is a fantastic example of the historical thriller drama. If that’s what you’re in the mood for, I highly recommend picking up The Crown. I was so tempted by this one! After reading your review I’m going to have to pick it up. Now how to fit it in to the schedule…. I have this one, and can’t wait to pick it up. This sounds so good. I’ve just found my love of historical fiction and a thriller sounds so exciting. Adding it to my list now. I’m about halfway through this one and am really enjoying it so far. Glad to see you liked it! Like Swapna, I have started it, and I’m really enjoying it! Great review! !